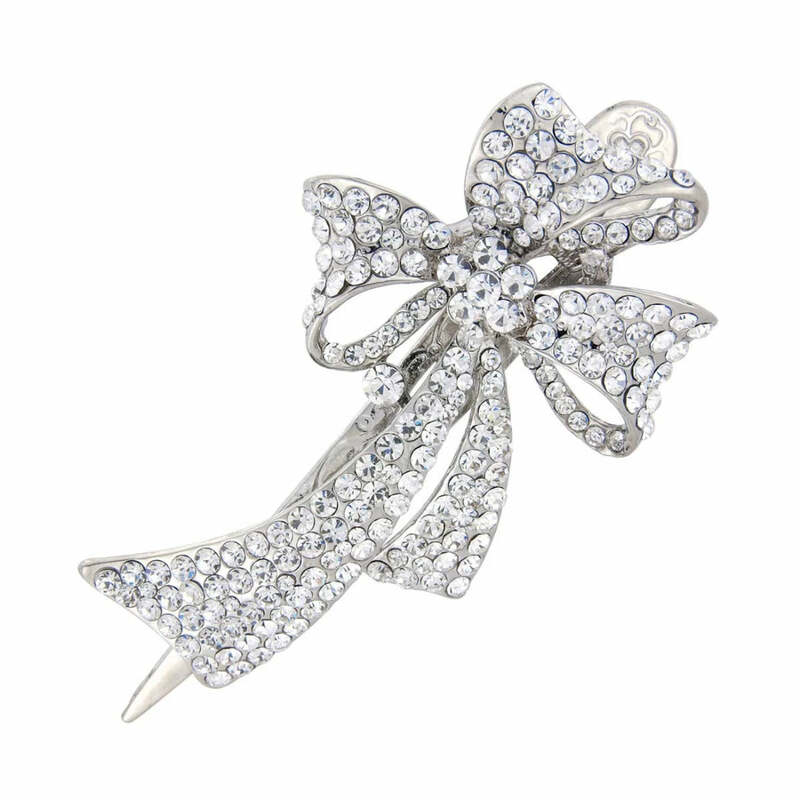 Go for 1940s glamour with this fabulous sparkling crystal bow concord clip. A beautiful statement concord clip inspired by the glamour of the 1940s. Featuring a silver tone triple looped bow design with flowing ribbons encrusted with sparkling clear crystals, this oozes classic Hollywood Starlet charm. A fabulously versatile hair accessory, this concord clip looks timeless worn along the fold of an elegant French pleat, in a romantic tousled low side bun or at the back of the head to adorn hair styled half-up. A beautiful wedding accessory for brides and bridesmaids who require a headpiece with sensational style but also to give added security to an up-do. With bow detailing a key embellishment, this concord would enhance bows on a bridal gown or a bow-tied sash.